New options to get your kids to school, activities and events. With Group Transportation, Hourly Rates and Chauffeur/Event Service, we have three great options to safley get your kids where they need to go. Neighborhood routes that improve as we grow. Group Transportation. For parents looking to set up daily transportation for their children, ShuttleBee will work to match your child's travel plan with other children heading in the same direction. Our most cost-effective plan! Hourly Rates. Looking to book a group by minivan or daycare bus for either routine service or a single field trip or event? The cost of hourly transportation can be divided among participants, or paid by an individual, group or organization. Chauffeur Service. Doctor's appointments? Early-morning work meetings? Launching in the Summer of 2018, our Chauffeur Service routes are competitive, and include in-vehicle video monitoring. Constant contact with our staff. Your ShuttleBee Route Supervisor is immediately available for parents when routes are in transit. Always. Changes to your routine? Send a note through chat to parents and staff on the route. Receive notifications of our approaching arrival through GPS tracking. Coming soon -- an attendance app with push notifications on pickup and arrival. Sign in your child using our check-in technology. Log your child's allergies, favorite songs, likes and dislikes. Send us your route Inquiry! Eighteen reasons that your child should travel with us. #18: ShuttleBee offers three transporation plans with competitive pricing. Many of us struggle to get our kids, well, anywhere. From seat belts to booster seats to traffic, ShuttleBee takes the guesswork out of travel-plans, and the hassle out of commuting. Group Transportation -- our most popular service -- achieves cost efficiency for school-year transportation by joining routes with individuals who may not otherwise connect. Most routes transport six students at a time, are about 20-minutes and cover one-way weekday travel on the School District of Philadelphia's schedule. This includes early-dismissals! It's not the perfect service, since delays upstream impact pickups later in the route. But with excellent communication and lots of redundancy, it's the right service at the right cost for small-group transportation. With Hourly Service, we're serving smaller groups, often without connections. The cost of service, currently $82/hour with a $199 annual family fee, is divided among participants. Finally, scheduled pickups for non-routine events are covered by Chauffeur Service. All chauffeured pickups starting in Fall of 2018 will include in-video monitoring. #16: ShuttleBee drivers and walking supervisors are our well-vetted neighbors. We know that not all drivers are still excellent with six excited travelling kindergartners in transit, so we've evaluated our drivers at two points in the process: We are integrating a test by Diagnostics Driving, an offshoot of a CHOP program dedicated to getting safer drivers on the road. We also evaluate drivers on the road. Finally, we'll observe as Shuttlers kindly but firmly interact with children and secure kids in boosters as needed. Drivers and walking supervisors also have experience in childhood education, and/or extensive experience as parents. #14: ShuttleBee routes are always monitored. ShuttleBee uses a number of apps to help our route monitors secure safe transit. You can reach a route monitor instantly while your child is in transit -- by phone, chat or text. For parents who are looking for alerts pre-arrival, we use Life360 to create alerts. Download Life360 and we'll send you an invite code to receive texts along the way. We're also looking to develop mobile apps that can assist with the route monitoring process. #9: ShuttleBee reps will ensure that your child uses a booster or a seat belt. When travelling by car or mini-van, a booster will be purchased as part of the annual enrollment fee as needed. Our ShuttleBee supervisors will ensure that your child is secured using this device. Parents must opt out in writing if children are not expected to use boosters. #8: NEW -- Weekend party travel! Throwing a party? 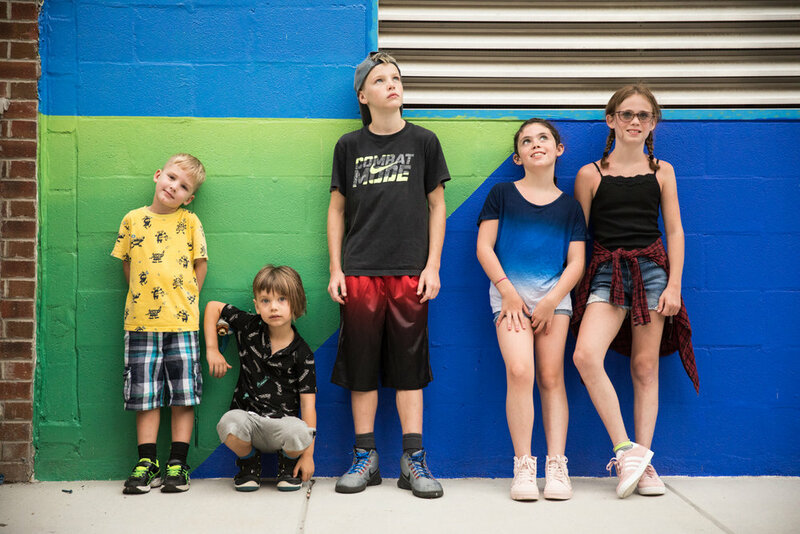 Starting this summer, we're booking weekend travel -- $82/hour for a minivan which can cover 6 children and seating for one adult, which includes a 15-minute grace period. Ask about rates for 14-passenger vehicles. #6: Our pricing improves as our enrollment increases. For routes that start as Hourly Pricing because they havn'et met our minimum enrollment needed for Group Transporation, we'll re-price the route when more students join. #5: We offer something unique. Our routes are pre-established and serve children and their parents. Public transportation is prohibited from a regulatory perspective from exclusively serving children as they travel to school. ShuttleBee is here to fill that gap. #4: We are fully insured and operate with strict protocols designed to keep your kids safe. ShuttleBeeis fully insured and conducts background checks on all representatives as outlined by our insurance carrier. ShuttleBee operates as an entity legally established to conduct business in the state of Pennsylvania. Whether you're looking to arrange transportation for your kindergartner or your high school student every day, or if yuo're planning for summer camps -- you can book a trusted Shuttler by minivan or 14-passenger for an hourly rate. Click here submit an inquiry! #15: We offer transportation based on age. Ages will vary by route, but ShuttleBee will serve PreK through middle school students. Every effort will be made to match kids together of similar ages, with additional consideration given to our youngest travelers. #13: Our Shuttlers are just plain awesome. Kind and in-control, our supervisors have experience in childhood education -- formal or otherwise -- who are parents or who worked now or in the past as teachers. #12: Your child will have a consistent experience and will get to know their route lead. Our ShuttleBee reps will know your child on a first-name basis and will ensure they arrive safely at their destination. We'll assign two drivers to each route, ensuring a familiar face each day. There will be exceptions where new employees board a route and for sick days, but kids will regularly experience a familiar face. #11: ShuttleBee is consistent and reliable. For our Group Transporation program and routine Hourly Rate bookings, ShuttleBee will run during regular operation, on the School District of Philadelphia calendar -- Monday through Friday, including early dismissals. ShuttleBee will operate when school is in session, with flexibility for different school schedules when enrollment levels allow. #10: We can not only help you reduce your travel-related anxiety. We're good for the planet. We are offering a service that will help improve your morning routine, reduce stress caused by commutes and create a fun transportation experience for your child. Maybe your morning commute brings you to many locations, or your work start-time is extremely early in the morning. Perhaps you're juggling logistics with other time-starved parents who would benefit from sharing a resource. ShuttleBee will offer an opportunity for your child to commute with other children of the same age in a safe, fun environment. #7: We understand that lateness occasionally happens. We’ll be providing GPS tracking for our routes so parents can estimate ETA’s. If you’re running late, we'll also set up a protocol that will allow you to reach our route monitor -- who can alert drivers and supervisors as needed. Our ShuttleBee team will react as efficiently as possible without compromising the safety of our shortest travelers. Alternatively, group travel means that an impact early in the route could impact stops down the line. As part of group travel, we ask parents and organizations to understand that occasional lateness may happen. Our goal is to offer multiple neighborhood pick-up options that parents can use on that late-day, because we understand that occasional lateness happens. #3: We're growing! It's not too early to enroll for 2019-2020! We know that logistics look different on paper than they do live, which is why enrollment for Group Transportation will end May 30, 2018 and will resume again October 1, 2018. All routes must be test-driven in real time before service can begin, and we can't effectively test a route before it begins. Chauffeur service will be continuously available. Please submit an inquiry from our home page to initiate your subscription or to inquire about availability. We'll reach out, review our contract and procedures with you and establish a start date. Payment is due on the twenty-fifth of the month prior to service. Automated payment methods are requested. We accept cash, check and recurring debit. Unless otherwise requested, routes will be offered for the school year. #2: ShuttleBee was built with love by a local Mom. Totally corny & absolutely true. ShuttleBee (formerly Trolley Express) was founded by a Philadelphia Mom and is supported by an incredible group of small-business consultants and partners. Our founder resides in Queen Village with her supportive husband and their five-year-old daughter. Who loves, among many things, trolleys. Because ShuttleBee webs routes together between schools all over the city, we need you to make those routes happen.